Dr. Mark Seidler has more than 20 years of experience as a strategic advisor to senior executives in life sciences, agrosciences, and fine chemicals. He joins Strategic Decisions Group in Düsseldorf, Germany, and has responsibility for growing the firm’s global Life Sciences Practice. 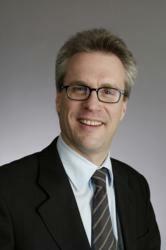 Dr. Mark Seidler will lead SDG’s global Life Sciences Practice from the firm’s office in Düsseldorf, Germany. SDG is uniquely positioned to serve the needs of decision-makers in the life science industry, where the search for value-creating opportunities and the need to understand risk are more critical than ever. Management consulting firm Strategic Decisions Group (SDG) today announced that Mark Seidler has joined the firm as a partner and managing director. Dr. Seidler will lead SDG’s global Life Sciences Practice from the firm’s office in Düsseldorf, Germany. Dr. Seidler has more than 20 years of experience in structuring and development of strategies for global pharmaceutical and fine chemicals companies. He returns to SDG after five years as a senior principal with IMS Health, a US-based purveyor of data and information to the life sciences and healthcare industries. Dr. Seidler’s clients have included leaders in pharmaceuticals, agrosciences, and fine chemicals in Europe, the US, and Asia. In addition to leading global life sciences, Dr. Seidler will open SDG’s first office on the European continent, in Düsseldorf, conveniently located near many company headquarters in a breadth of capital-intensive industries. “Our aim is to be able provide services around our Decision Quality offerings wherever significant investments are at stake and success is uncertain,” he said. Dr. Seidler’s experience spans a broad spectrum of interdisciplinary, international projects, including supporting clients in defining the focus of product development, business unit, and corporate strategy. He guides clients through major business transitions, including decisions to enter new geographic markets or business sectors, to align innovation and product portfolio strategy, and to transform business models in the face of industry change. He is broadly experienced in the application of decision analysis methodology as well as the structuring and modeling of complex strategic alternatives. In the broader life sciences industry, he helps clients define product strategy for assets in all stages of development, value licensing candidates, and structure effective alliances. He has extensive experience in optimizing deal structure and negotiation strategy and in developing robust lifecycle management strategies for products facing loss of exclusivity. In addition, he advises clients in the allocation of marketing resources across major brands in key markets and business process improvement. Prior to entering consulting, Dr. Seidler held a variety of positions at Bayer AG in Germany, both in business operations in product development and production, as well as in pharmaceutical and corporate strategy departments. Dr. Seidler holds a PhD in chemistry from the University of California at Berkeley and a BS in chemistry from the California Institute of Technology. Founded in 1981, Strategic Decisions Group is a strategy consulting firm renowned for its expertise in strategic decision-making, risk management, and shareholder value creation. Through a collaborative, team-based approach, SDG helps its clients find innovative, creative strategies to thrive today, while also helping them build internal competencies and more effective decision-making processes to meet competitive challenges in the future. A unique combination of analytic skills, strategy-development techniques, and industry experience makes SDG a preferred strategy consultant to the global Fortune 500. SDG has offices in North America, Europe, the Middle East, Asia-Pacific, and India.